Let us introduce you to our inspiration. Whatever you see in your mind’s eye when you think of an addict, Tina was the opposite. She was the light and energy in any room. Keenly intelligent with a sparkle in her eye and a ready smile on her lips, her friends and family knew her for her warmth, her heart, her embrace and her laughter. Tina was raised in a loving, secure, upper class home, excelling in both academics and athletics at the private school she attended, and throughout her life she was surrounded by family, friends and colleagues who supported and loved her. And also, Tina was an addict. Tina had this positive, almost overwhelmingly powerful and yet somehow simultaneously understated aura. The word “aura” might sound a little zen, but it’s appropriate. Words like personality are too contained, too formal. When Tina was around – in the room or at some gathering or just sitting near you on the couch watching TV – you were aware of it. Her presence permeated the space with this vibrancy that was uniquely Tina. And also, Tina was an addict. Our Tina gave the most genuine, from-the-heart hugs, and she had the most genuine, contagious smile, a smile that transformed her face – even in her later years – back into the cute little girl she was far too short a time ago. Her smile illuminated her and squinched her eyes up into little Tina slits, tiny little arches made up of all eyelashes and joy. And she had a distinct and contagious laugh… low and husky and full. It, too, was uniquely Tina, and it radiated humor and unadulterated amusement at the absurdity of things. What many who knew her remember most about her is her sense of humor about life and the world. Like anyone, Tina had her demons and insecurities. Her strength and courage in later years came in part from that piece of her soul. But from the moment that little girl could smile until she moved on from this place, she found delight and reassurance in the brilliant as well as in the absurd and in the devastating, and she tried to ensure those around her did, too. And also, Tina was an addict. Those of us who were blessed enough to know Tina from the start can attest to how obvious it was from the very first that she was someone special. Every individual is special, of course, but there was something different about Tina. Tina was born in Miami, Florida, and grew up in a few of the more beautiful neighborhoods across the city. The third of four sisters in a tight knit, well-to-do family who loved her to the moon and back and to whom she was fiercely devoted, as a child Tina always seemed to balance between feeling awkward and shy and finding joy and humor. Though she often seemed to be looking for her place among her sisters and within her family, her smiles and laughs always came readily, and she practically radiated love even as a little girl. Tina attended exceptional colloquial and private schools where she excelled academically and, in later years, athletically. Ironically, late in elementary school, Tina wrote an essay that included commentary about drugs and addiction. Fiercely independent, teetering on the edge of rebellious, Tina was never afraid to challenge a teacher or dispute a belief. It was one of her traits that her friends and family admired most, that ability to stand up for her convictions under almost any circumstance. Throughout her youth, Tina enjoyed wonderful friendships, and she explored intellectual talents and sports and other countries. She would be the first to say that she grew up amid privilege and love and plenty, and she appreciated it all. Tina was a creative genius with a love of fashion that she channeled into a successful career. She intuitively understood shape and color and style and beauty, and most of us in her family benefited from her advice several times over. Tina also was a thinker. She loved to learn and to ponder and to debate, especially politics and social causes and current events. She was a natural athlete, excelling in swimming and tennis as a young girl and later as a defender in soccer during her high school years. As an adult, she gravitated toward running, particularly running across the Rickenbacker Causeway linking Miami with Virginia Key. Tina also was fortunate enough to experience true, romantic love, not just once but three times. People often envision addiction as a rapidly advancing and immediately overpowering affliction that takes over during early experimentation with alcohol or drugs. In many cases, that’s an accurate depiction. Tina’s path to addiction started young but progressed slowly, quietly, and insidiously. She didn’t experience draconian restrictions on exposure to alcohol growing up, nor was alcohol an overwhelming influence during her childhood. There were no signs of unusual dependence as she neared adulthood and experimented for the first time with alcohol. She didn’t regularly become exceedingly intoxicated as a young adult, or at least no more often than many of her friends, nor did she drink more often than average, at least not that anyone could see. Tina’s dependence grew at an almost deceptively subtle pace, coming brutally to light over a series of dramatic events – including a terrifying car accident that left Tina with a collapsed lung. 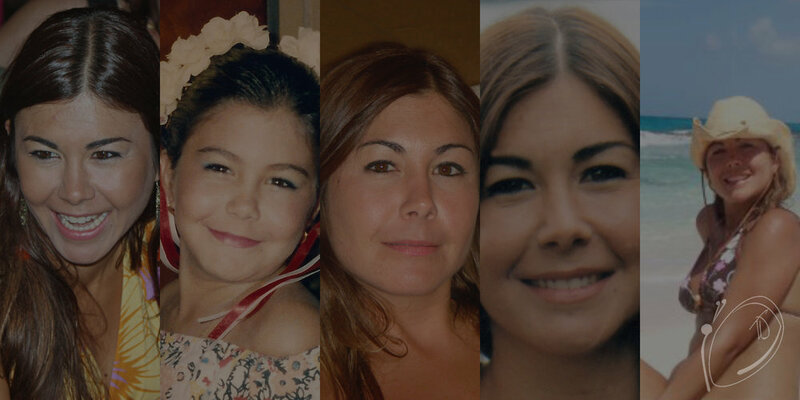 From that point until the end of her life, Tina’s struggle with alcohol, and eventually with cocaine, was a constant for her and her family. Tina went to rehab for many months, and she tried more than once to adhere to a 12-step program. These programs work for so many, but not for her. As can happen when individuals strive to overcome their addictions, Tina remained sober for a while each time but was unable to sustain her sobriety. Tina passed away on Saturday, November 22, 2014, at the all-too-young age of 35, as a result of an overdose. Those of us with the Tina Dailey Foundation refuse to let this be the end of the story. Tina was unable to find the right formula to maintain her sobriety. We cannot convince an addict to become sober; this decision must come from inside. But once an individual chooses sobriety, our goal is to help him or her remain sober.